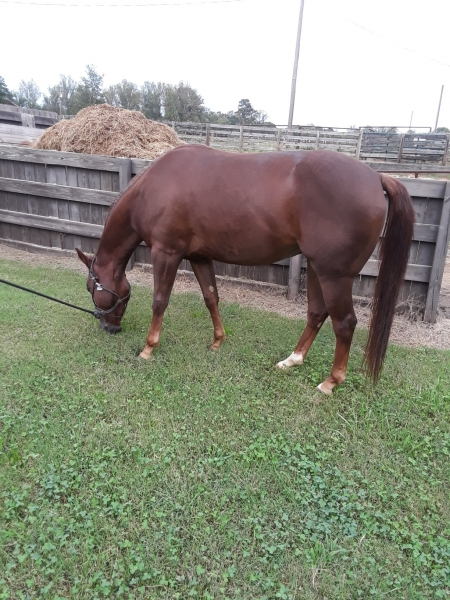 4yo cutting horse with 2 years of cutting training , needs to be finished, he could also be a sorting horse or rope. Very smart and willing to please you. Easy to be around 100% sound.